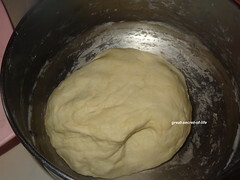 Now take the dough and divide them into Orange size dough. 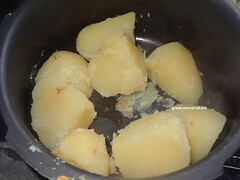 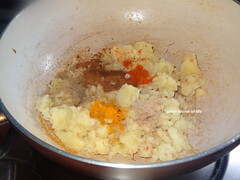 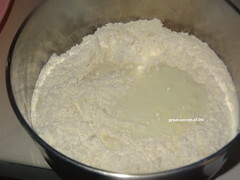 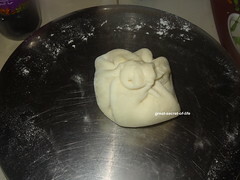 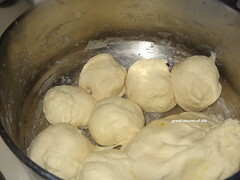 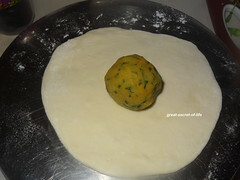 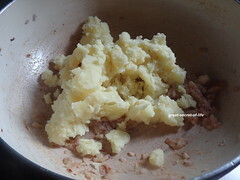 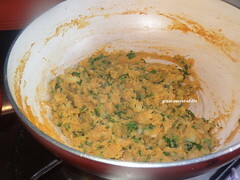 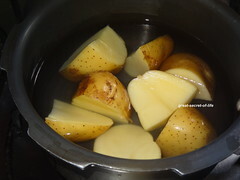 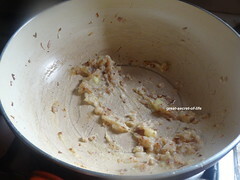 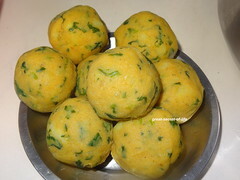 Take Potato mixture and make same size balls as dough. 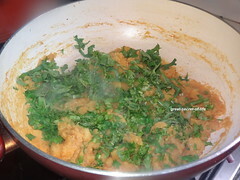 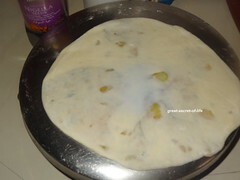 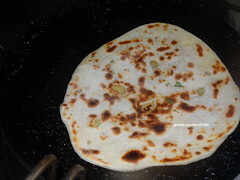 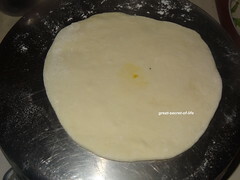 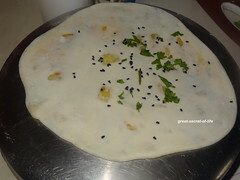 Heat flat pan and place the kulcha. 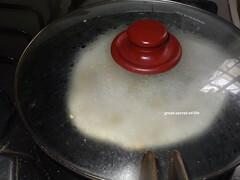 Spread some oil. 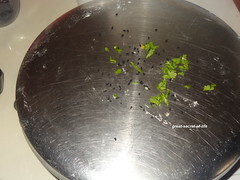 Close it with the lid and cook it. 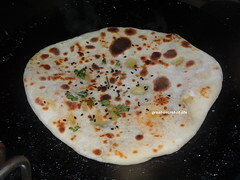 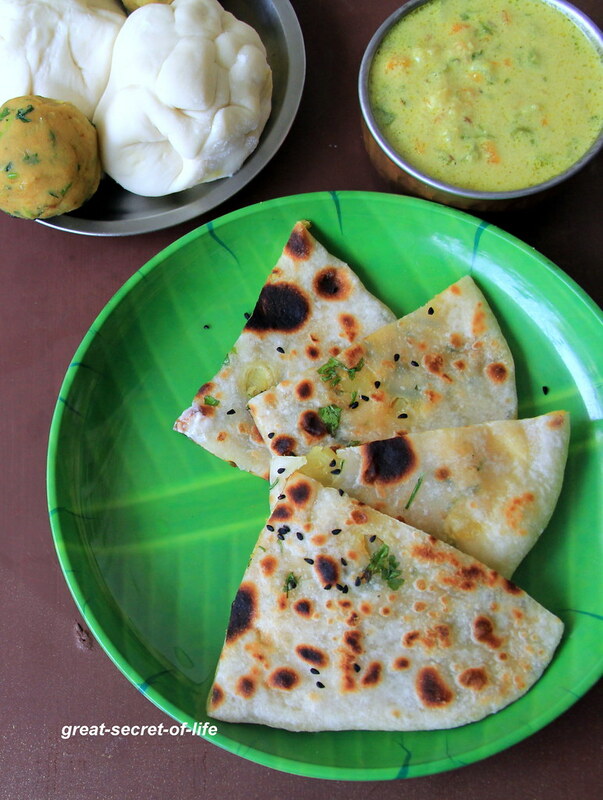 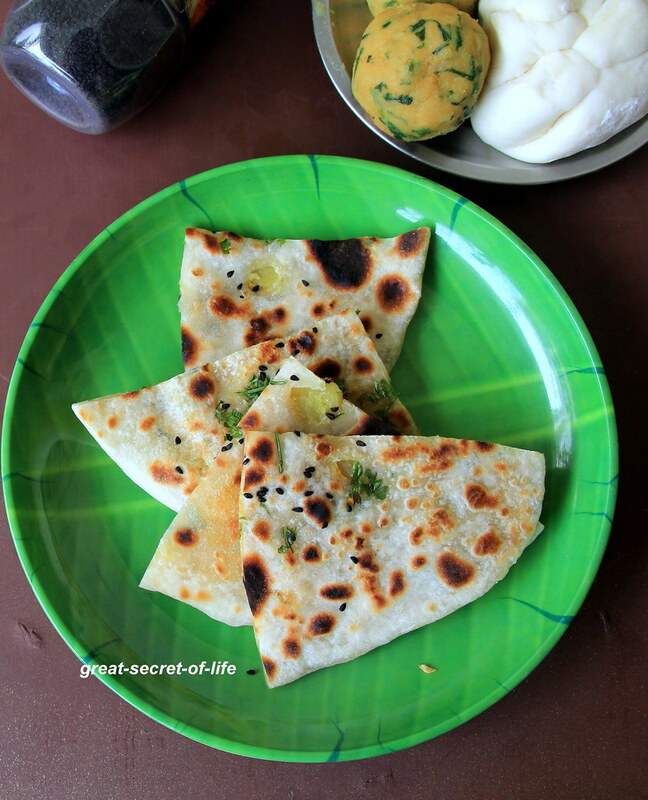 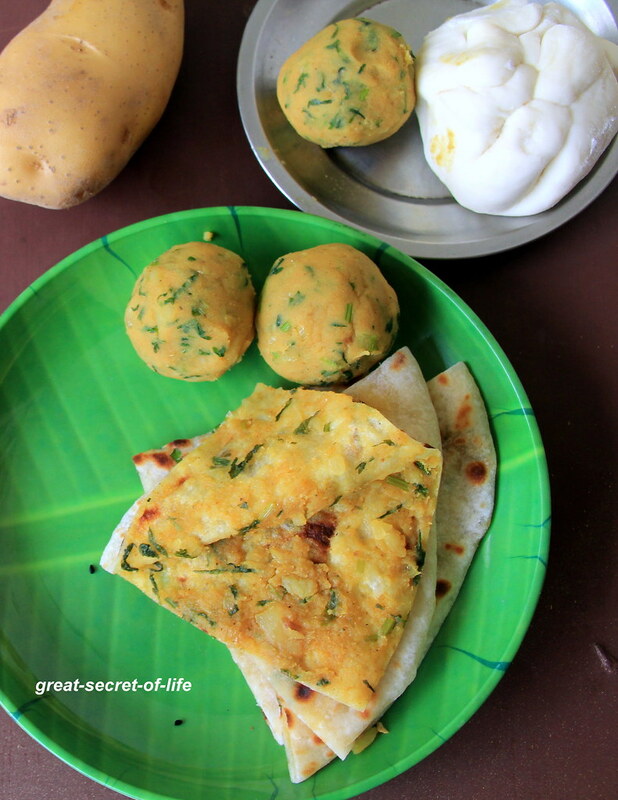 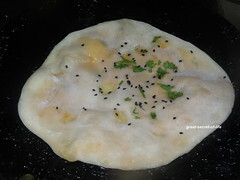 These kulchas look superb and easy to make too..